Nothing changes the look of a room more dramatically than custom window treatments. Window treatments elevate your home to a higher level of beauty, comfort and style. Custom window treatments can be one of the most important elements when decorating a room. Fabrics, trim and design are all hand selected, making your custom window treatments unique and tailored to your own sense of style. 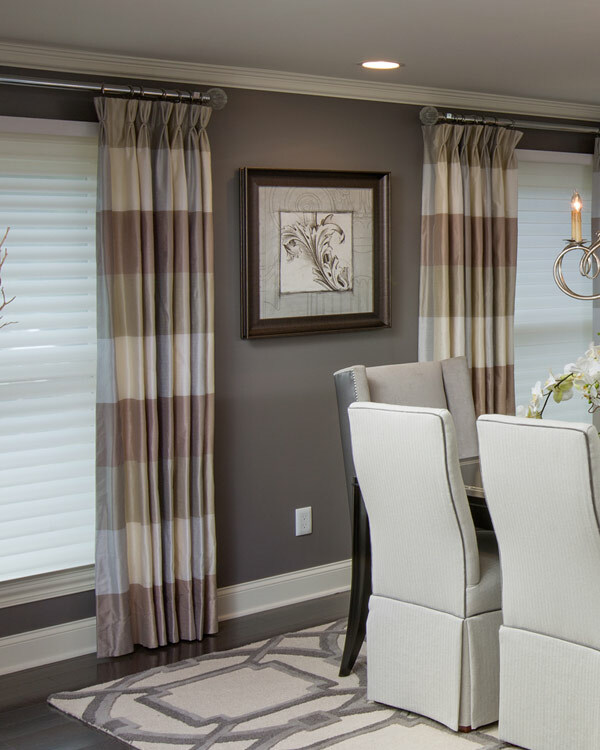 Custom window treatments give you the polished, sophisticated look you’re going for in your home by using premium materials and linings, professionally measuring and installing all components and paying close attention to detail. We have the resources available to offer you custom design, experienced installation and access to fabric, trim and beading options not available in ready made window treatments.